July 18, 2017 – Jesup, GA – The Bone & Joint Institute of South Georgia (BJISG) Jesup Surgery Center has earned its third consecutive seal of accreditation. 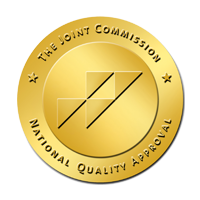 The Joint Commission’s Gold Seal of Approval™ was awarded to BJI for demonstrating compliance with The Joint Commission’s national standards for healthcare quality and patient safety in January. The first seal of accreditation was awarded in April 2011, and again in March 2014. The awards recognize the practice for their continued dedication and outstanding service in orthopedic care. Since 1975, The Joint Commission has developed state-of-the-art standards for outpatient ambulatory care organizations. Approximately 1,900 of the nearly 6,000 freestanding ambulatory care organizations in the US maintain Joint Commission accreditation. The Joint Commission accreditation process is carried out every three years. The non-profit organization is known to have the highest standards in regard to medical accreditation, and through inspections they identify medical practices that exemplify exceptional healthcare. In an effort to continue improving overall health standards for the public and inspire medical providers to practice the best patient care and safety possible, The Joint Commission is constantly expanding and adapting their state-of-the-art standards. In April of 2017, an unannounced, on-site survey was conducted at BJI’s Surgery Center in Jesup. The care, treatment, and overall service of surgical patients was thoroughly tracked and evaluated. Other procedures assessed by the Joint Commission include key operational systems, infection prevention, leadership, and medication management. The Bone & Joint Institute of South Georgia provides comprehensive orthopaedic care, and features the Joint Commission accredited Surgery Center in Jesup, with digital surgical suites designed exclusively for orthopaedic surgeries, and on-site x-ray services. Both the Jesup and Waycross locations house Open MRI’s, each awarded with accreditation from the American College of Radiology. Based in Jesup, BJI serves 18 Southeast Georgia counties, and has satellite offices in Baxley, Hinesville, and Waycross.